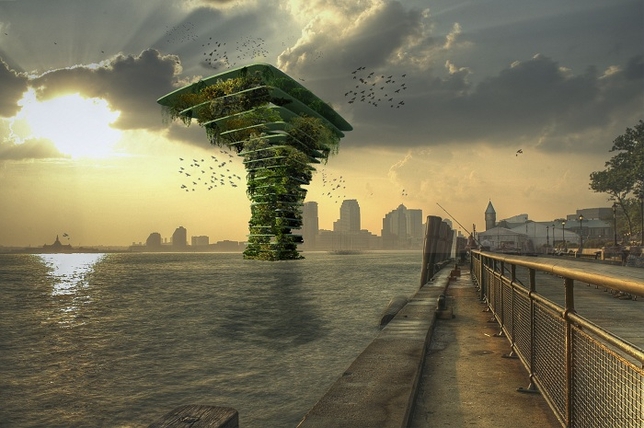 Waterstudio has designed a new concept for high density green spots in a city, the sea tree. This sea tree is a floating structure that hold in many layers green habitats for only animals. It offers an intriguing response to the challenge of bringing nature into urban regions.